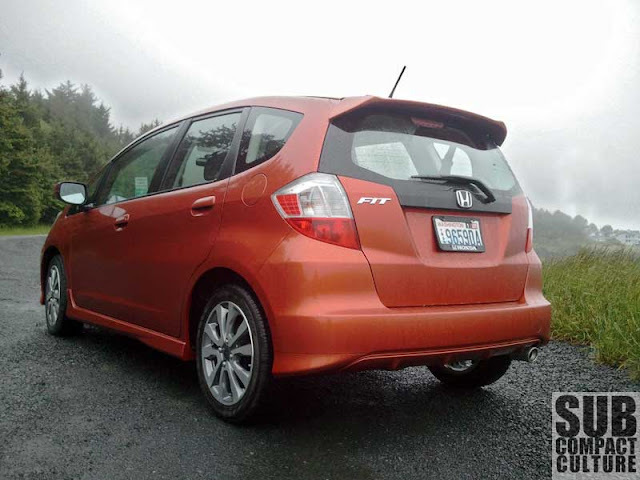 Review: 2012 Honda Fit Sport with Navi: Is it still 'fit' for first? 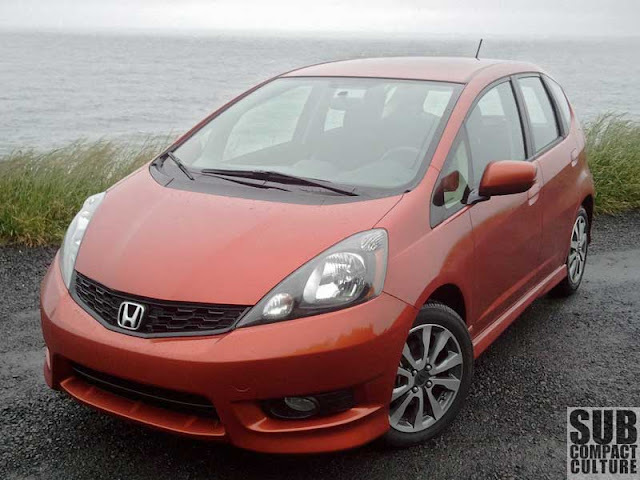 The Honda Fit Sport has been available in its current form (with a few very minor changes) since the 2009 model year. That’s four years for those of you counting. 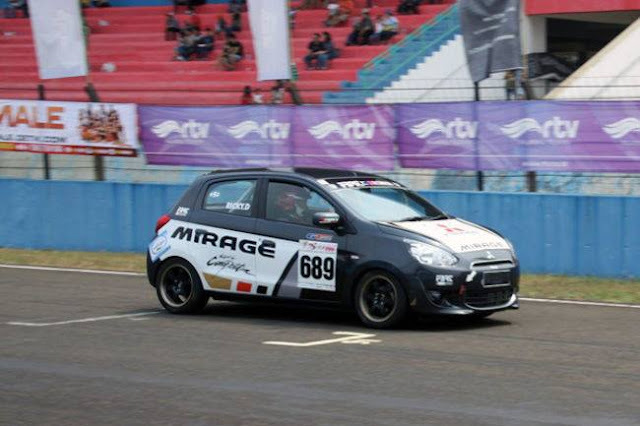 However, it’s still heralded by many as a subcompact class leader (if not the leader). Magazines, such as Car and Driver and Motorweek, have ranked it the No. 1 contender among the latest crop of 2012s in recent comparison tests. Honestly, when I read these articles, I found it odd that a four-year-old design is still besting the newest subcompacts. Was the Fit Sport that appeared in 2008 as a 2009 model still that good? We decided to see for ourselves. The Fit's versatile "magic seats." The Fit has a good bit of cargo space. We reviewed the 2011 Fit Sport last year and found it to be a very good choice for its versatility and handling—and of course that hasn’t changed. Without question, the Fit does still have one of the most Swiss-Army-knife-like interiors of any small car. Heck, it’s more flexible than some cars twice its size. The rear cargo area is ample. Then there are the “magic seats,” which can fold flat, or have the seat bottoms fold upwards allowing for large areas in the floor wells to store goods. 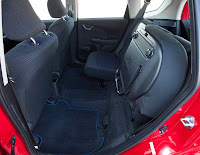 The magic seats are still a standout in this segment, and the Fit is the only one that has them. Then there’s the Fit Sport’s handling. Arguably, the Fit Sport is one of the most tossable subcompacts you can buy: It’s balanced, agile, and feels light on its feet. Steering feel is very good, especially compared to some other b-segment vehicles out there that are almost completely void of steering feel. The Fit Sport simply feels, well, sporty in the corners. You might say that the Fit is fun to fling. When it comes to acceleration, the117 hp Fit feels on par with many of the competitors offering average get-up-and-go. Mercedes and I both noticed, however, that the Fit has a lot of road noise, especially on coarse aggregate highways. The 1.5-liter i-VTEC engine also isn’t the quietest of the lot these days. But the Fit feels as comfortable cruising the highway as it does jutting in and out of city traffic. Co-driver and wife, Mercedes, specifically noted that visibility was quite good. Another thing we noticed about the Fit, especially compared to other 2012 subcompacts, is somewhat substandard EPA fuel economy numbers. When equipped with the five-speed automatic transmission, the Fit Sport is rated at 27 city and 33 highway. With many subcompacts topping 40 MPG, this is a bit low. But speaking of the automatic transmission, the Fit’s is one of the better around in any car. The shifts are fast and the gearbox seems very well matched to the engine. When using the steering-wheel-mounted paddle shifters, this shifting speed makes itself even more evident. 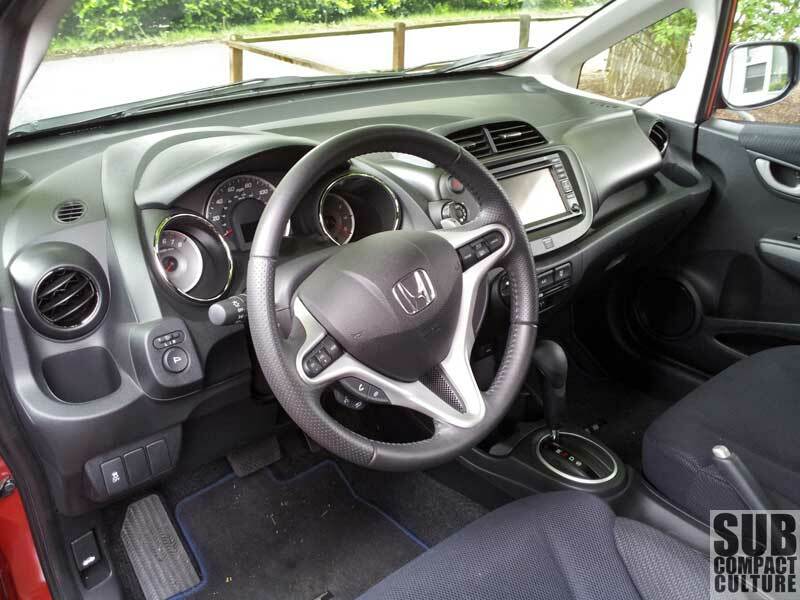 The Fit’s interior still looks modern and fresh. The futuristic design has high-quality switchgear and mostly high-quality, albeit hard-surfaced, materials. One thing Mercedes and I both noticed was the suede-like door panels felt like they may wear prematurely, since they felt rather thin. We also wished the car had variable intermittent wipers (hey, we live in Oregon and it rains a lot). As a whole, the Fit Sport feels very solid and didn’t have any rattles to speak of, unlike some vehicles I’ve been in costing much more. We did notice a couple of wide panel gaps here and there, too. Our tester came with the Honda navigation system, which adds $1,050 to the price tag. I still think the Honda navigation unit isn’t the easiest to use, nor is it the best looking. There’s steep learning curve to the operation and the graphics look dated. The stereo isn’t bad, but it isn’t outstanding, either. Our automatic-equipped Fit Sport with navigation came in at $20,310 including the $770 destination fee. Yes, that includes alloy wheels, cruise control, Bluetooth, fog lights, and other Sport package goods. We feel that price is on the upper end of the spectrum, but Hondas are typically able to fetch a more premium price. So is the Fit still the top of the heap? In many respects it is. Its chassis is still outstanding. Its interior is still a packaging marvel. Its design, even though it’s four model years old, still looks fresh. But its lower-than-average fuel economy ratings, noisy engine, and $20,000+ price tag may deter buyers. The 2012 Fit Sport is still a very solid choice for anyone looking for a five-door subcompact vehicle. But the competition continues to heat up in this segment from every angle, be it the Americans, Koreans, Europeans, or Japanese. We’d still say it’s hard to go wrong with the Fit, but there are definitely some other great choices out there. 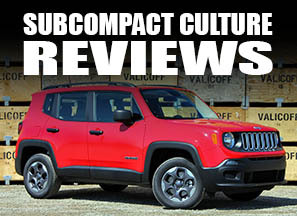 Would we say it’s “the best” subcompact out there? We wouldn’t go that far, but we will say it’s still towards the top of the heap. In terms of interior space, price (for the Sport) and gas mileage the Fit seems to invite comparison to C-segment hatchbacks. In your opinion, how does it stack up against the Focus, Golf, Mazda3 and Impreza? Also, since you've driven both manual and auto versions, is there a difference in cruising between them? A moonshot 5th in the auto and a shorter one in the manual, maybe? Or are they about the same? My wife and I were just out comparison shopping the Fit Sport to the '12 Civic LX. They were exactly the same sticker price. The Civic has better EPA numbers, is more comfortable, is quieter, and has a better feel in driving and materials. 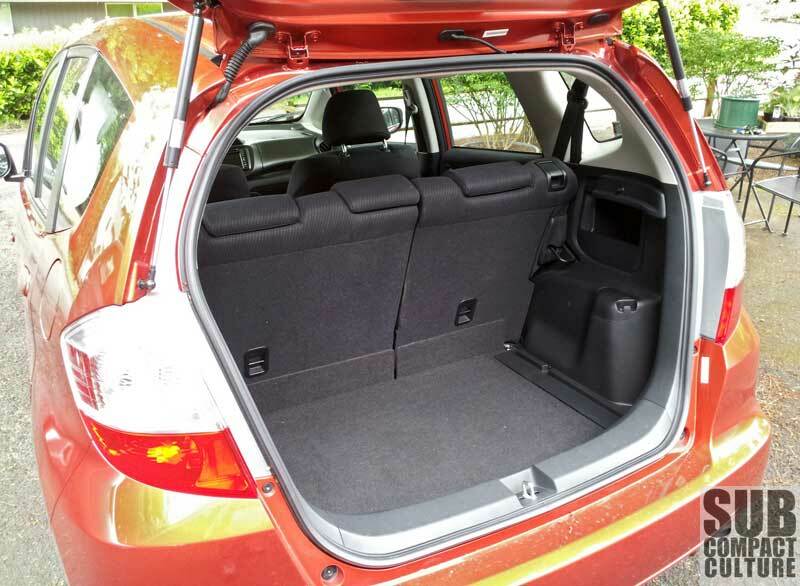 The Fit has better capacity for cargo but the Civic's trunk isn't bad. If there were a Civic HB, it wouldn't even be close.